I was driving down Sawtelle Boulevard the other day. I had to grab some Tekka Maki to pack in Happy Meal's lunch box. 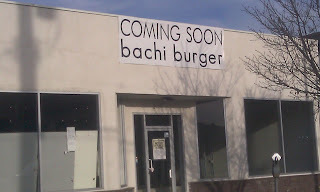 It was then that I discovered that Bachi Burger had begun expanding. It wasn't really news, but it was news to me. 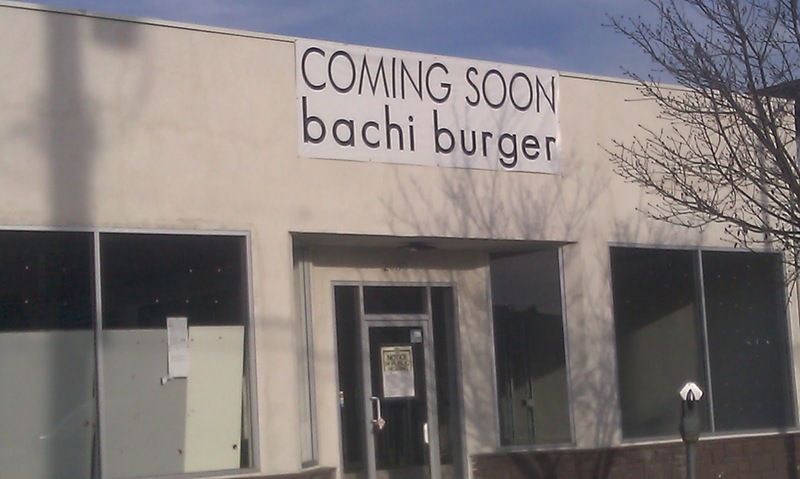 Sadly, like Umami Burger, Bachi Burger waited until they had lost steam in terms of quality to begin expanding. Umami Burger was once the best burger in Los Angeles, but that faded within a year or so as their standards went out the window. Presently, Umami Burger has been pumping out pretty good, but over-priced, burgers from multiple locations for a few years. All the while, Umami Burger has been steadily expanding. Bachi Burger, the former darling cheeseburger of Las Vegas, has followed suit, and the LA location will be the third storefront. When I visited Bachi Burger, I was underwhelmed, and I have heard similar comments from my burger loving brothers and sisters. 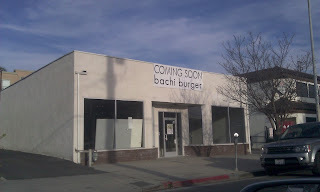 Bear in mind that Bachi Burger held it together for a few years in Las Vegas before jumping the shark, so it is possible that they will turn out great food in LA during the honeymoon phase...hopefully beyond that. On the plus side, The Cult's "She Sells Sanctuary" was playing on the radio in the car this morning, and that was pretty awesome. It's a lot butcher if you don't watch the video. Also, you should probably start watching Workaholics on Comedy Central. It's juvenile, and I love. it.